Chelsea midfielder Mikel Obi has send out an emotional message to Brazilian club Chapecoense who were involved in a plane crash late last night. A flight heading to the Colombian city of Medellin crashed with 81 people on board, including the Brazilian football team. Of the 81 people on board, only five survived the plane crash with the remaining 76 confirmed dead. 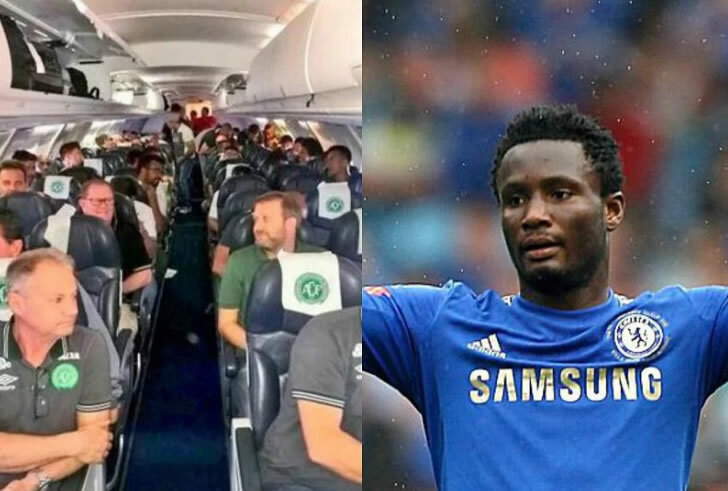 Following the tragic incident, Mikel took to his Twitter handle to post a picture of the aircraft with an emotional caption. A plane carrying a Brazilian football team crashes in Colombia, killing 71 people on board. Brazilian news organizations reported 21 journalists had been on board the plane that crashed in a mountainous area on its way to Medellin.